K-9 Blitz is a Belgian Malinois. 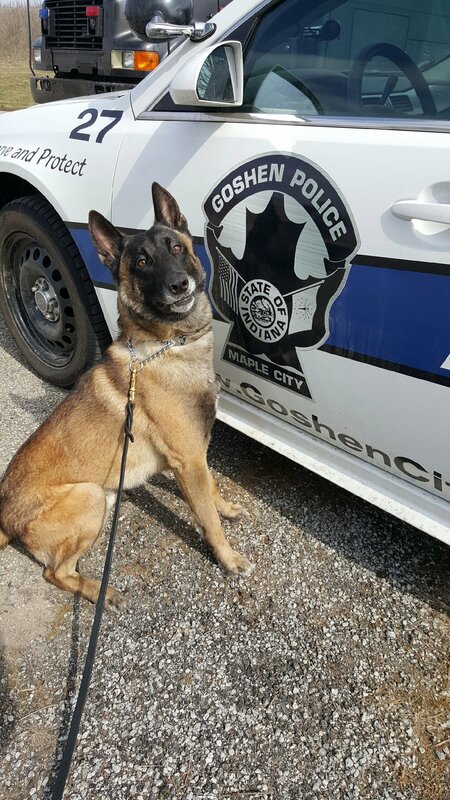 Blitz is four years old and has worked for the Goshen Police Department since 2014. 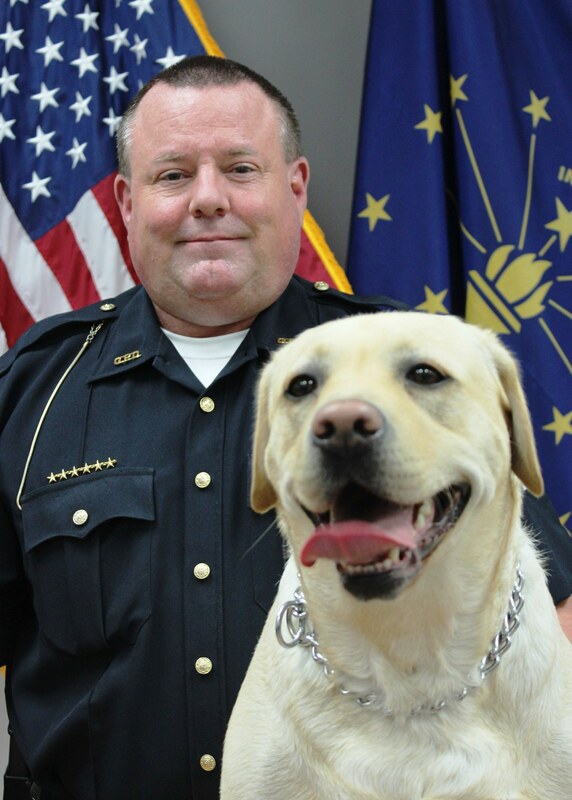 Blitz is a dual purpose narcotic detection K-9. Blitz was born in the Czech Republic and imported by FMK9 kennels, here in Indiana. Blitz's handler partner is Officer Mark Clere and when Blitz is not working he lives with the Clere family. K-9 Auru is three years old. Auru is a Yellow Labrador. Auru was born in Poland and imported by FMK9 Kennels in Indiana. Auru's partner is School Resource Officer, Michael Johnson. Auru is a substance detection and tracking K-9. When Auru is not working he lives with the Johnson family.